Did Jeff Sessions just soften his stance against hate crime protections? Joshua Vallum was sentenced to 49 years in prison for the 2015 murder of a 17 year-old transgender girl, Mercedes Williamson. LGBTQ rights advocates had worried, with some good reason, that federal hate crime laws would be ignored under the Trump administration with Sessions at the helm. Sessions voted against hate crime protections as a senator, saying the law was overly broad and arguing that he thought it unnecessary to include further protections for LGBTQ people. 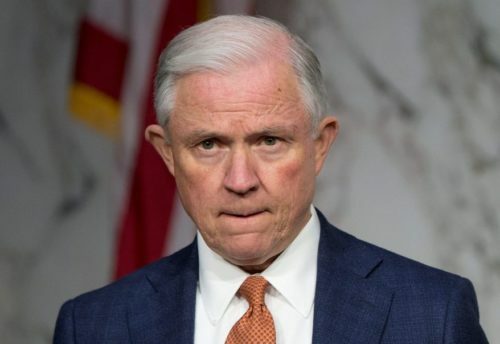 During his confirmation hearings to become Attorney General, he assured his fellow senators that they “can be sure I will enforce” the laws, but doubts remained. Those doubts were anything but quieted by Sessions’ decision to rescind protections for transgender students, reversing a move by Obama to ensure public schools allowed students to use the bathrooms and locker rooms consistent with their gender identity. In March, six Democrats in Congress wrote to Sessions to ask the Justice Department to investigate the deaths of seven transgender women so far this year as hate crimes, but they received no response. There have now been ten transgender individuals murdered in the United States in 2017, that we know of so far, the most recent being Kenneth Bostick in New York City. While the transgender community had stronger allies in the White House during the Obama administration, the statement from Sessions is at least a bright spot in an otherwise dark situation. Trans rights advocates will have to keep up the pressure to ensure that these aren’t just hollow words. “At the same time, having a long prison sentence in this long running Justice Department case appears to be a cynical ploy to deflect attention from his opposition to basic civil rights with his relentless, racially-tinged drive to promote mass incarceration, as indicated by his changes to Justice Department policies this last week,” she told LGBTQ Nation. Editor’s Note: This article has been updated to correct Bostick’s name.